You see, there's one little place I know that offers everything on my list above... and much, much more, as well. As for now, this country qualifies as one of the best places in the world to hang your hat. It's also a tax haven, a banking haven, and a top investment haven. 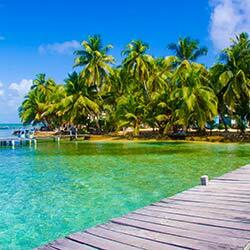 I'm talking about Belize—the under-the-radar, sand-fringed country in the Caribbean that you rarely hear any news report about... but that has so much to offer the foreign retiree and investor. Belize doesn't make for sensational press. The global media is more interested in reporting on collapsing markets and corrupt, ineffective governments than a country that's managed to avoid crisis, economic and otherwise, and that boasts probably the most stable banking system in the world right now. Belize isn't bothered. It understands the advantages of a low profile... as do the people who choose to call this beautiful, English-speaking country home. "No Regrets. Not A One!" "Do you have any regrets about moving to Belize?” That's the question Helena and Mike Hess from San Francisco are most frequently asked by their neighbors in Ambergris Caye, as well as by family and friends back home. "Without hesitation, my husband Mike and I answer, 'No. No regrets. Not a one,'" says Helena. "The folks back home often find it baffling that we could be as happy—in fact, happier—living here in little San Pedro Town than we were living in the San Francisco Bay Area. "Initially, we invested in property on Ambergris Caye because of our love for the Caribbean Sea and the laid-back tropical lifestyle on this island. Even today, years later, we're still thrilled to be surrounded by so much beauty, color, and nature. "But there's another attractive aspect of daily life on Ambergris Caye that kept drawing us back to this low-key Caribbean retreat: The people and the strong sense of community we perceived here from the start. I'd never experienced anything like it before. In a big metropolitan area, like the San Francisco Bay Area where we were living, one can easily feel lost in a sea of bodies. It's difficult to get to know your neighbors. "On my first return trip to Ambergris Caye, I was greeted again and again by people who remembered me from the prior year! Everywhere I went, on the beach and around town, people recognized me and reacted as though they were seeing a long-lost friend... even though I'd met them only once before! It was a revelation for me. I seemed to have more friends in San Pedro than in California, where I'd been living for so long. "I find it comforting, at this time of economic and political upheaval and uncertainty worldwide, to live in a place where everyone knows me and my husband, where we are part of a happy, contented community of people who are not worried over their futures because they have taken control of their futures. We're all here building new lives together. We lend a hand to help each other any way we can. We all look out for one another..."
Helena and Mike aren't alone in these sentiments. We hear the same message of delight and confidence in their decision from everybody we talk to who's made Belize part of their lives, from expats and retirees who've settled all over this country... in Ambergris Caye and the Cayo, in Corozal and Placencia, and everywhere in between. Plus safety... stability... privacy... independence... freedom... these are the advantages that Belize holds out to the would-be retiree, expat, and investor. If these things appeal to you as much as they appeal to me, then I'd like to invite you to act sooner rather than later to make Belize part of your life... and to act with our help. This is an opportunity to leverage our long experience and the extensive infrastructure of resources and contacts we've developed in this country over nearly two-and-a-half decades of spending time and doing business here. Specifically, I'd like to invite you to join us as a member of our Belize Circle, a VIP organization that can make it possible for you to realize all your dreams of a new life in this top offshore haven as quickly, as easily, and as efficiently as possible. This is a unique opportunity to take advantage of a unique package of benefits to help you save time, money, and needless frustration... accomplishing whatever it is you'd like to accomplish in this frontier of adventure and potential. With the Belize Circle, launching your new life in paradise isn't hard work... it's turnkey. Think of this as your new life in Belize... in a box. All the advantages and benefits for your taking... all the hassle, struggle, and effort assumed by us. For some people, the practical, administrative aspects associated with making this kind of move can become overwhelming... sometimes so much so that these would-be adventurers just give up on their dreams altogether. Please, don't let that happen to you. There's no reason not to realize every agenda, every fantasy you have of living, investing, or retiring in Belize. Not when the top Belize experts you'll find anywhere are standing by to offer their full assistance on the ground. As a member of our Belize Circle, you'll have access to all the resources you'll need to make and execute your own custom Belize Plan. Then, you'll continue to enjoy all membership benefits (I'll walk you through them in a moment) for life. We'll not only help you formulate your Belize Plan, but we'll also walk you through it, holding your hand every step of the way as you move from dream to reality. That's our promise to every Belize Circle member: All the help and support required to realize your Belize Plan, whatever it is... and then ongoing and continued support throughout the lifetime of your Belize adventures! Nowhere else could you find this level of personal Belize service coupled with such generous Belize discounts, perks, special benefits, and privileges. We call it "Belize In A Box"... paradise made easy. Before you can decide one way or the other about a place, you've got to wander the streets, walk the beaches, hike the hills, speak with other expats who've already made the move, and, critically, have all your questions answered by reliable experts with first-hand local knowledge and experience. That's what Live and Invest Overseas conferences are all about. First, these in-country events are designed to give you a chance to get a first-hand feel for a place. At our events, you have time around the busy conference schedule to take a scheduled excursion... to wander off down the beach for a stroll... to explore the reef with your snorkel or dive gear... to get a taste of the local cuisine and culture... to get out to see what there is to see and to get to know the folks who would be your new neighbors. Second, our in-country events are a chance to meet experts and expats who've already taken the plunge, who can answer your questions and share their personal anecdotes about what to expect as you prepare for your own adventure. This kind of insider advice from those who've already been there and done that is invaluable. Plus, we'll walk you through a detailed and fully itemized budget for living in Belize, both as a property owner and as a renter. In fact, we'll present you with more than one budget, for your cost of living on Ambergris Caye, for example, would be quite different from that out in the Cayo. We'll also make sure you have plenty of time to mix and mingle one-on-one, during cocktail receptions and over poolside lunches, with both the speakers and your fellow attendees. These private introductions with like-minded folks and those whose footsteps you're considering following... these alone are worth the price of admission and can often prove the most important benefit of the entire event. Remember, as a Belize Circle member, you'll have the opportunity each year, over the lifetime of your membership, to attend every single Belize annual event we hold free... both you and a guest. Join us at our next event in Belize City... and, then, again, as often as you like in years to come... all at no charge. Who knows... Down the road, after you're a full-fledged Belize resident yourself, we might invite you to attend the conference as a speaker... so that you can share your own Belize adventure tales with attendees! The cost of admission for these events is US$1,095 if you're attending alone—or US$1,595 if you bring a friend or spouse along. Which means, if you avail of your free entry to our Belize events once a year for 10 years (and bring a partner each time), the total value to you of this Belize Circle member benefit is US$15,950! Mike and I would like to take this opportunity to thank you so very much for the recent Live and Invest Conference. Our minds are still reeling with all of the information presented to us. All of the presenters were very knowledgeable in their respective fields, and we so enjoyed talking with other expats-in-waiting. Mike and I live in the snowy part of Washington State. Last winter was very snowy and cold. Needless to say, we would rather be someplace sunny instead! Thanks again for all of your hard work in putting together the Conference. For anyone considering a move to a new country, your event should be on their 'must-do' list. We hope, of course, that, as a Belize Circle member, you'll join us often for our Live and Invest in Belize Conferences. However, if, for whatever reason, you can't be with us in person, you don't miss out. We'll bring the information, the recommendations, the insights, and the discoveries of every Live and Invest in Belize event held during your Belize Circle membership, direct to you. We record every conference we hold. And, when you're a Belize Circle member, we'll send you the audio recordings from each year's Live and Invest in Belize Conference, along with all the PowerPoint presentations and other materials from all speakers participating in the event. All these materials will be archived on your Belize Circle members-only website, where you'll be able to access them anytime you want... as often as you like. Even when you have made it to Belize to participate in the live event, you may find yourself wanting to access these archives to recap on a certain presentation and to remind yourself of important particulars. This is a benefit you can start enjoying immediately. As soon as you are accepted as a Belize Circle member, you'll have access (via your members-only website) to the materials from our most recent Live and Invest in Belize Conference, including the audio recording of every presentation at that event. When we package and sell these kinds of events materials, the price is as much as US$500. So, over 10 years of your Belize Circle membership, for example, this membership benefit is worth US$5,000. When you do make it down to Belize to see this beautiful country for yourself, we'd like you to enjoy some of the best it has to offer with our compliments, as the guest of some of our friends here. Specifically, as a Belize Circle member, you are invited to stay free for up to four nights at each of these top retreats… That’s up to eight nights total. Carmelita Gardens—Carmelita is situated in the fertile Belize River Valley, with rainforest on one side and the Belize River on the other. The property is comprised of 98 acres with more than a mile of riverfront and a spectacular view of the Maya Mountains. Carmelita is nestled between the riverfront village of Santa Familia and the Mennonite town of Spanish Lookout. The founders here have focused on sustainable building practices and self-sufficiency. 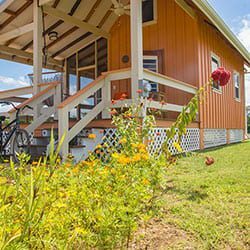 All homes are 100% solar powered and guests can enjoy fresh organic fruits and vegetables from the community garden. It’s an opportunity to explore yet another amazing part of this diverse country while meeting new friends who have made the migration to Belize. Use these as your bases to explore different regions of Belize... while relaxing in style and savouring the Belizean pace of life. This is our first time negotiating and offering this kind of an accommodation benefit in any country—and I hope you're as excited as I am that we've been able to make this part of our new Belize Circle package. 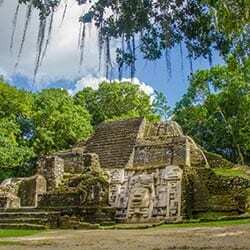 I have been fascinated and in love with Belize for about 10 years and needed the info regarding the logistics of moving and doing business there. I have to say your Belize package is so thorough, we had no questions after. 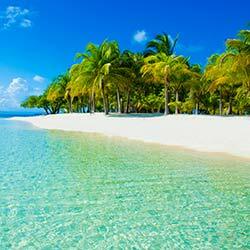 Just a great plan to investigate properly and find out that, yes, Belize is the place for us... Thank you so much for your publication and insight. Once your Belize Circle membership application has been accepted, you'll be sent details for how to download each of these reports, so you can start familiarizing yourself with all that this country has to offer and formulating your own, custom Belize Plan. However, that's only the start. This benefit, like all Belize Circle benefits, continues for a lifetime. That's right. Any Live and Invest Overseas publishing product that relates to Belize will be yours, whether we publish it now, next year, or years from now. Once it's hot off the presses, you'll be sent the details by email for how to enjoy full access. Every edition of every Belize product published over the lifetime of your Belize Circle membership. Even when you're settled in Belize, these timely reports from our Belize team of expats and experts will continue to provide insights, recommendations, ideas, tips, discoveries, and opportunities that you wouldn't otherwise be able to access. It's difficult to put a price on this, because this is a membership benefit that not only continues, but also expands. We're always growing our publications library, publishing new books and reports all the time. My husband, Lief Simon, our resident international real estate expert, and I have been paying attention to the Belize property market for many years and have established relationships and friendships with many on the inside track of the local property scene here. As a result, we hear things before others do, and we're often the first to learn of important new deals and investment opportunities. Lief writes of these opportunities for his Global Property Advisor members. Now he'll share them with you, too. As a Belize Circle member, you'll be on Lief's short list... the list of friends, colleagues, partners, and members he alerts to the best deals in key markets as soon as they cross his desk. These special offers are usually limited—the developer may have just a handful of lots available for these kinds of special offers. And, certainly, the best inventory is available to those who get in first. Again, as a Belize Circle member, you're ahead of the game. With the kind of properties we're talking about, it wouldn't be unheard of for the special deals to sell out among Belize Circle members alone... and never make it to the rest of our readership. Belize today is a different story. You can still find plenty of back-to-nature experiences, if that's what you're looking for (and this ability to leave the developed world behind is one of the most appealing things about Belize, I'd say). However, today it's also possible to live a fully appointed 21st-century lifestyle in Belize... while enjoying a view of the lapping Caribbean or a rainforest-covered mountainside from your bedroom window. Belize today is so appealing and life here can be so comfortable... that, once you've experienced it, you might want to invest in a little piece of Belize all your own. If you do, as a Belize Circle member, you'll qualify for special, member-only discounts at key resorts and developments across the country, including opportunities for purchasing land, beachfront lots, even fully turnkey condos at special pricing. Specifically, you'll save 2% up to US$3,000 off your purchase price. And, like all your Belize Circle benefits, this one extends for your lifetime and can be used anytime, whenever you're ready to act. In addition, the discount is not once-off. If you decide to make more than one buy at the communities included in this program, you enjoy the discount with each and every purchase. This is just a sample of the kinds of savings you could enjoy with your Belize Circle Property Purchase Discount. These are issues that require expert help, not google searches or random tips. As a Belize Circle member, you will be eligible for an hour of free consultation time with one of the most respected, most experienced Belize experts anywhere, Joel Nagel. Joel is a U.S. tax attorney who's been helping Americans take their assets offshore and relocate overseas for almost two decades. And Joel is focused on Belize as a preferred, top offshore jurisdiction. Joel's a regular speaker at our live events. He's up-to-date on banking, taxation, residency, citizenship, and business opportunities in Belize. He's the man I trust most when it comes to these important issues, especially in Belize. Any time during your membership, you can arrange to consult with Joel. This one-hour complimentary consultation can take place over the phone or in-person (at one of our Belize events, for example). You don't want to organize your new life overseas around tax code. And, most of the time, protecting your wealth and planning a new life overseas are separate strategies. But there are times when the two agendas can converge. That is, it can be possible to relocate to the Shangri-la of your fondest daydreams... while, at the same time, reducing your tax burden, maybe to zero. This is the case in Belize-a country that rolls out the welcome mat, not only offering significant benefits for foreign residents, including seriously appealing tax advantages, but also making it easy for you to become a foreign resident in the first place. 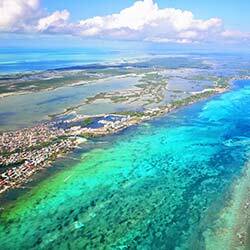 Belize, in fact, is one of the easiest places in the world to become a full-fledged, legal foreign resident. You don't even have to live in the country full-time. One month per year is all it takes to qualify. You don't have to be of "retirement" age either. 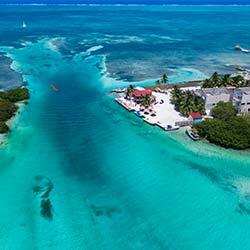 Belize rolls out the red carpet if you're 45 or older. Neither do you have to make any large, lump-sum capital investment. And, as a full-fledged Belize resident, there's something else you may not have to do... ever again-that is, pay taxes. Neither to the Belize taxman, nor, if you're an American, to Uncle Sam back home. And, if you thought Belize was just for retirees, divers, and back-packing sun-worshippers, it's time for a closer look. There's a lot more to this little Caribbean state... When you hear talk of offshore accounts and international banking centers, places like Austria, Liechtenstein, and the Cayman Islands may spring to mind. But an offshore account in Belize? Not something you'll see touted in the advertising pages of your glossy in-flight magazine. Yet, in terms of banking safety and stability, Belize is in a class of its own. Belizean banks must maintain a government-imposed liquidity rate of 24%-that's simply unheard of anywhere else in the world. And it's how Belize managed to escape the recent financial meltdown that shook the rest of the global banking industry. With any move, you face many challenges, many questions. With an international move, the challenges can be even greater. Wouldn't it be nice to have someone to turn to for help every time you weren't sure where to go or which way to turn? In addition to his first development, Phil has consulted on several other real estate projects and is currently developing a sustainable off-grid community in Cayo near San Ignacio and the Mennonite community of Spanish Lookout. Phil is even a Past President of the American Chamber of Commerce Belize. Whatever's happening in Belize, Phil and his broad network of family, friends, and colleagues know about it. 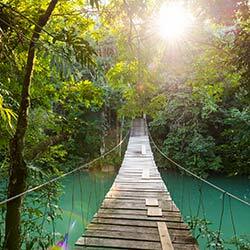 Whatever you want to do in Belize, Phil will know how and who can help. When you join the Belize Circle, you'll be given a contact telephone number and a private email address direct to Phil. You'll enjoy unlimited access to our dynamic Belize liaison throughout your entire Belize Circle membership. Whether you're looking for a reputable in-country attorney... specifics on what documents you'll need to open a bank account... where to find the freshest seafood at the best price... or details of local events (did I mention, as a member of the Royal British Legion Phil met Prince Harry at a private reception, a uniquely Belizean experience), Phil is standing by always to help. We offer a similar service in Panama, where Panama Circle members rate their dedicated in-country liaison as the most valuable Panama Circle membership benefit of all. It's also the most difficult to quantify. How much is it worth to have a dedicated resource as experienced and as connected as Phil is in Belize? Impossible to say. I can tell you, though, from personal experience, that relocating to a new place is enormously easier, more pleasant, and less costly when you have reliable help on the ground. 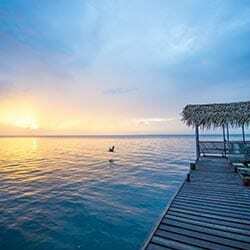 If you're starting to think that all of this seems too good to be true... that surely there must be some downsides to living, investing, and retiring in Belize... then you're right. No place is perfect... including Belize. Take the language, for instance. Yes, English is the primary language in Belize—a huge plus. But that doesn't mean that you and Belizeans communicate in the same way. Yes, they speak English. But they think and respond literally. At times, as a result, you may think they are misleading you. But they're not. They're giving you the response they believe you're looking for. With some practice, you'll learn to keep your communications with them simple and specific. Once you're aware of the downsides and prepared for the challenges, you'll find that they're a lot less frustrating. Part of our service to you, as a Belize Circle member, is to make you aware of these pitfalls... and to help you navigate them. You'll experience this honest, tell-it-like-it-is, warts-and-all approach in everything we do, from our publishing products to our live events and the interactions you'll have with Phil Hahn, your in-country liaison, and all the Live and Invest Overseas staff. This is part of the promise we make with every service we offer. What's best for you? We can't say, of course. However, I can tell you that the international health insurance Lief and I have chosen to carry since we left the States more than two decades ago is with Bupa International. Now, thanks to the Live and Invest Overseas Group Policy we've negotiated with Bupa International, all Belize Circle members will enjoy a 10% discount off the cost of their Bupa coverage. When you're accepted as a Belize Circle member, your name is immediately added to our list of "VIP" readers. This means you're invited to join us for every VIP event, meeting, cocktail reception, teleconference, etc., that we offer, not only in Belize, but anywhere. At every conference we hold, anywhere in the world, we include at least one private VIP reception. In addition, at every conference, we set aside a private room for use by VIP attendees only. This is a place where you can check your email, have private conversations with speakers, meet to chat with fellow attendees, or sit down with a member of the Live and Invest Overseas staff to review your questions and seek some one-on-one guidance. As a Belize Circle member, you'll be invited to join us, as our guest, for every VIP reception... and you'll be welcome to make full use of our VIP lounges. Again, this applies not only to Belize events, but also to any others that might interest you—for example, our Live and Invest Overseas Conference… our Offshore Wealth Summit… our Global Property Summit… etc. In addition, we also host monthly special opportunity teleconferences for VIP members. Again, as a Belize Circle member, you're invited to be on the line for these conversations and will be sent notice of each call in advance, along with details of how to dial in to participate. We'll be holding a private VIP party at our next Live and Invest in Belize event in Belize City... and we'll hope to meet you there! What is it that you most desire for your retirement? What is your fondest retirement daydream? If Belize is on your radar, and you're ready to begin formulating and executing your own Belize Plan, then you'll find membership in our new Belize Circle invaluable. Using even these conservative estimates, Belize Circle lifetime membership has an estimated value of US$48,928.40. What price do we assign to Belize Circle lifetime membership? First, let me assure you, it's nowhere near US$48,928.40. The cost of lifetime membership in the Belize Circle is US$4,800. However, during this limit-time period of Open Membership, you can join the Belize Circle for just US$4,500. Our flexible Open Membership payment plan gives you the option to secure your Belize Circle lifetime membership by paying just US$1,800 down... and then paying the remainder of your membership fee in 10 monthly installments of just US$250... After those 12 months, that's all you'll ever pay. Or, pay in full and enjoy a discount of a full US$300 (You'll pay only US$3,500 when you purchase membership in a single payment!). When you consider what you're buying... the ultimate retirement dream in one of the world's premier retirement havens... I think you'll agree that this is a very special offer at a very special price. This is a chance to reinvent your life and to launch the adventure of your lifetime... in a beautiful, tropical, English-speaking haven. At Live and Invest Overseas, we take our commitments to all our readers and, especially, to our VIP members-seriously. That's why, to guarantee a first-rate service, where every member's needs and agendas are addressed in a timely manner, we must limit membership in our new Belize Circle. That's why this Open Membership offer is available to just 10 members. So, if this opportunity is something that interests you, I urge you not to delay sending in your application for registration. Admission to the Belize Circle is on a first-come, first-served basis. And, once we reach our member limit, the offer will be closed indefinitely. We can't allow this private group to grow too big too fast. Otherwise, we risk not being able to provide the level of service and support we're promising. Sign Me Up For The Belize Circle Now! A full 2% discount (up to US$3,000) off the purchase price of real estate at hand-chosen private communities in this country. This is everything you need to make every Belize daydream you have come true. What are you waiting for? Join today!